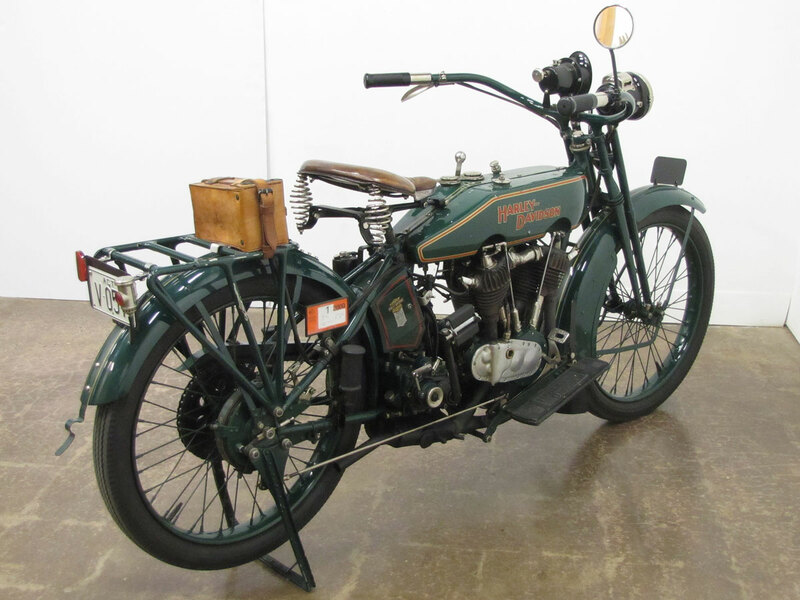 Long story short; this motorcycle went from Milwaukee to Australia, then back to Iowa, yet it’s had just three owners in almost 100 years! 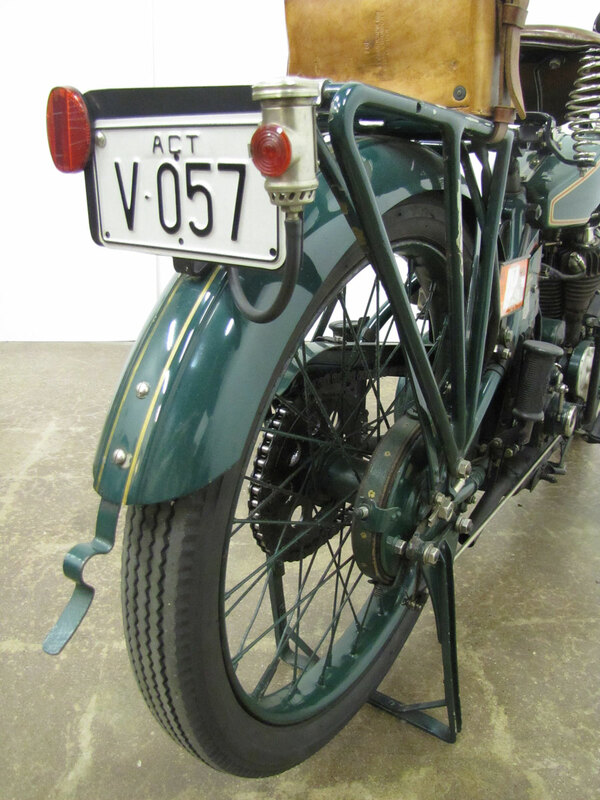 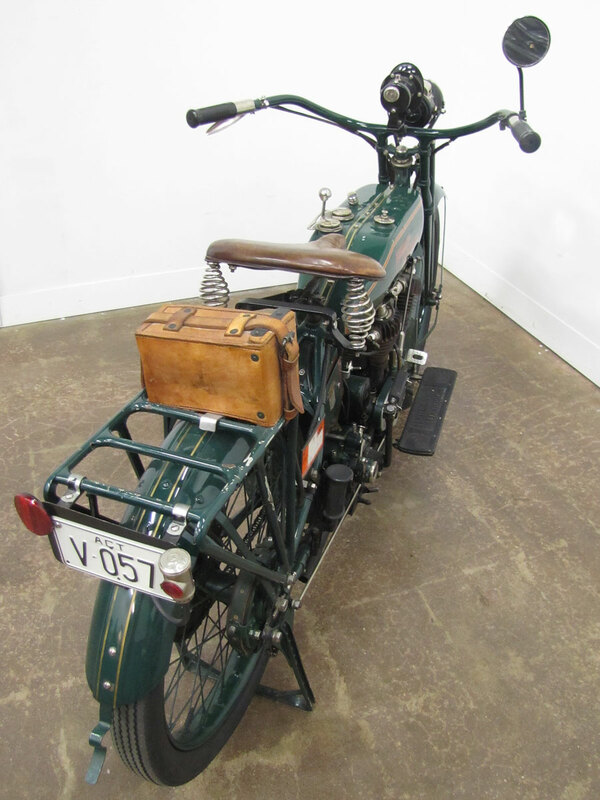 Noting the “A” in its serial number, owner Aaron Mohr says the bike is a military model that shipped to Australia to support Allied troops’ efforts there in World War I. 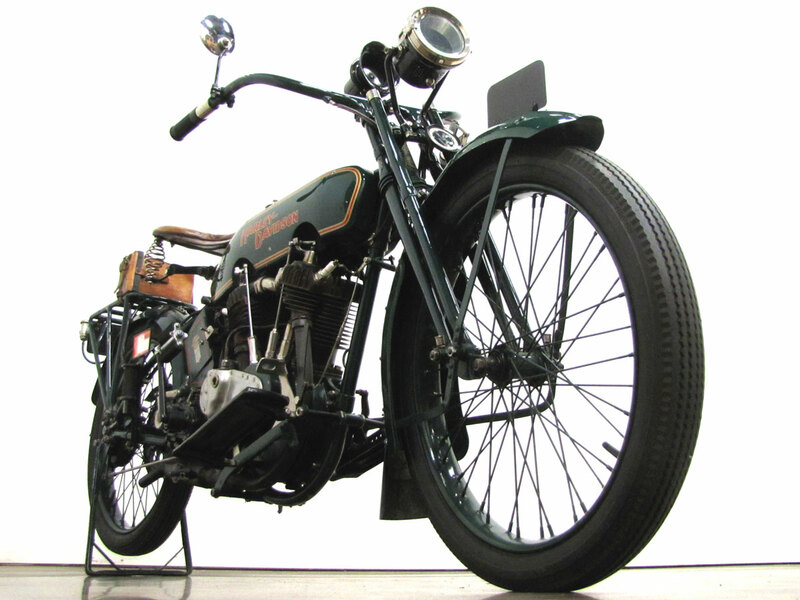 “After the War, it was sold as surplus, and an Australian man bought it. 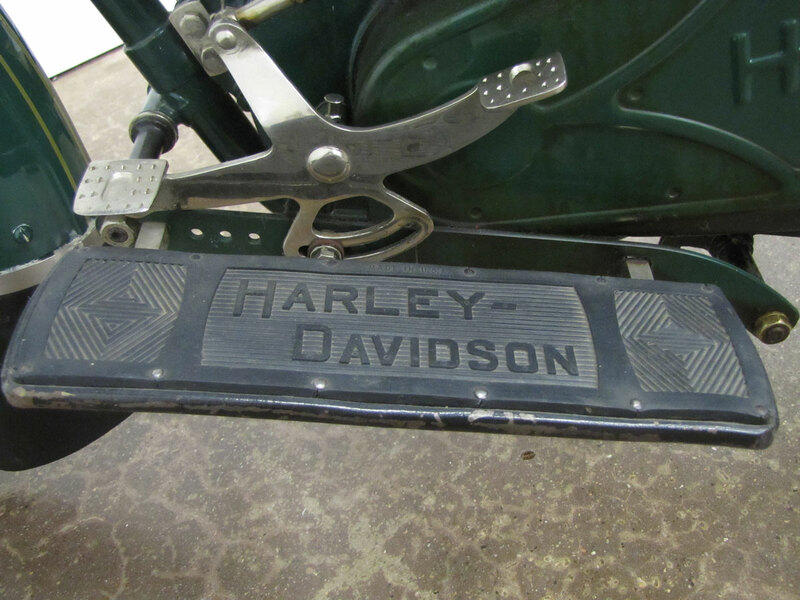 He rode it a bit and parked it in his back yard for years, and then it fell over. 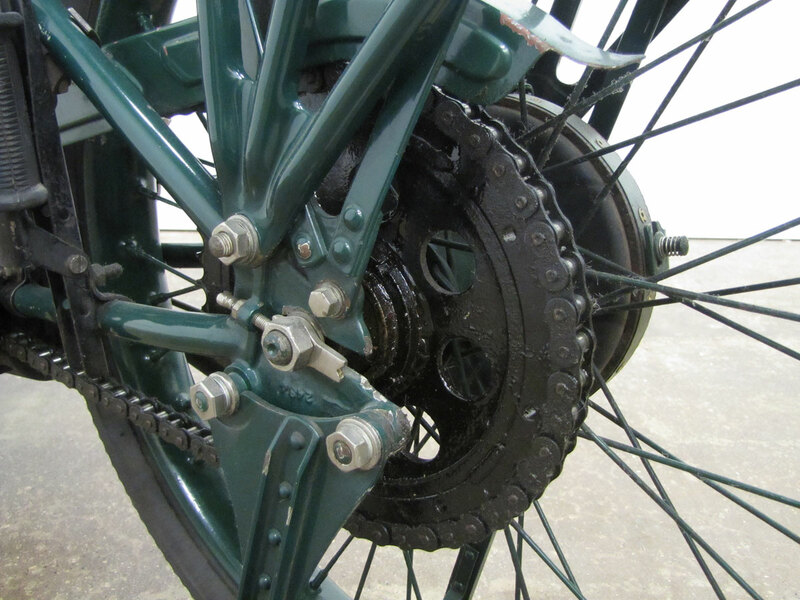 After seeing the bike on its side for a long time, a neighbor asked about it, offered to pick it up. 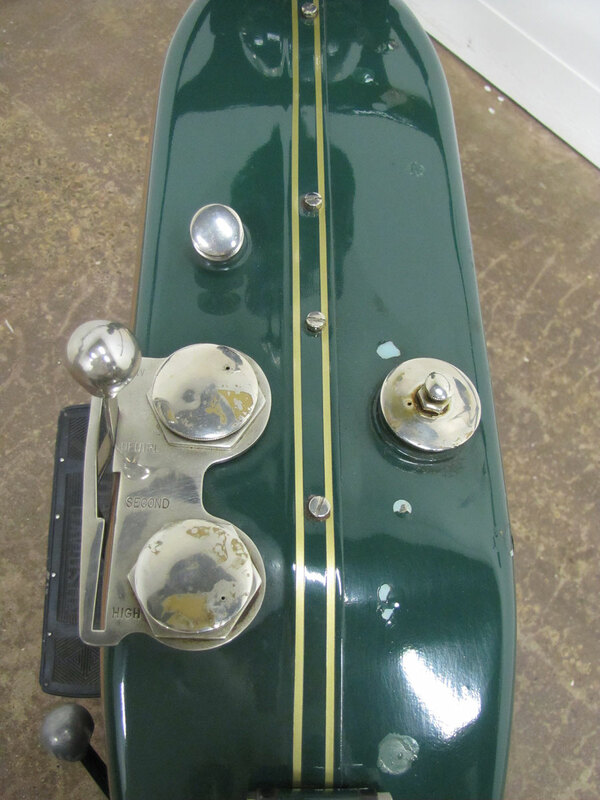 That guy wound up buying it and restoring it, repainting it this green. 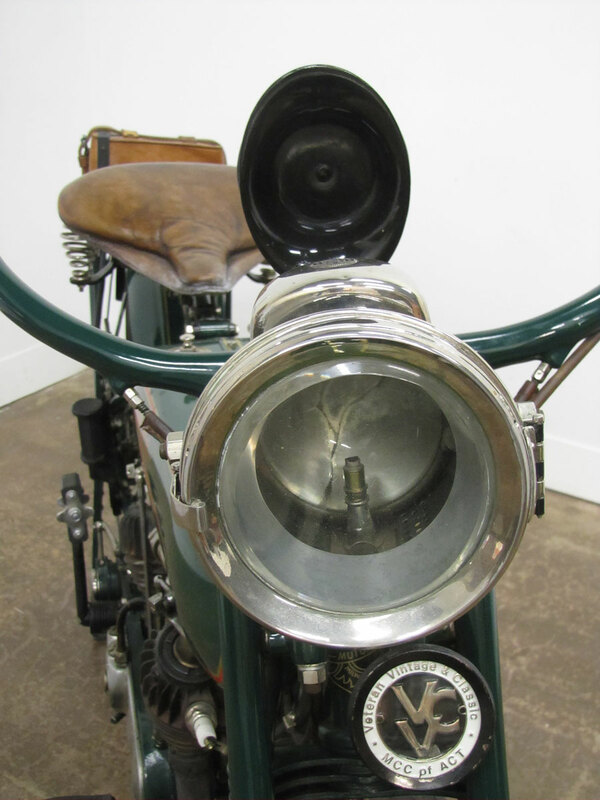 Though the tank that was laying against the ground rusted through, all the other parts are original. 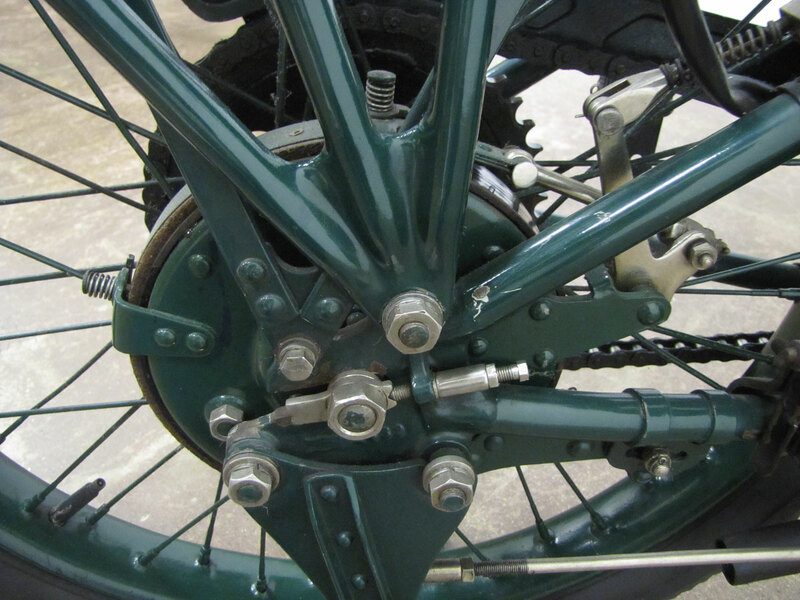 I got it from the guy who restored it about 20 years ago, as it sits.” Mohr says he was told the green was correct for typical civilian Model J’s shipped to Australia, though his bike was olive drab when manufactured for the military. 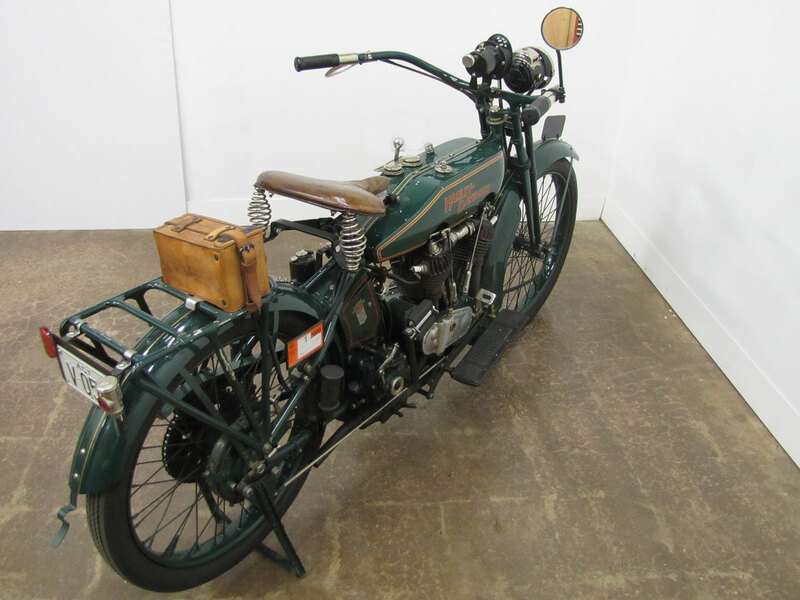 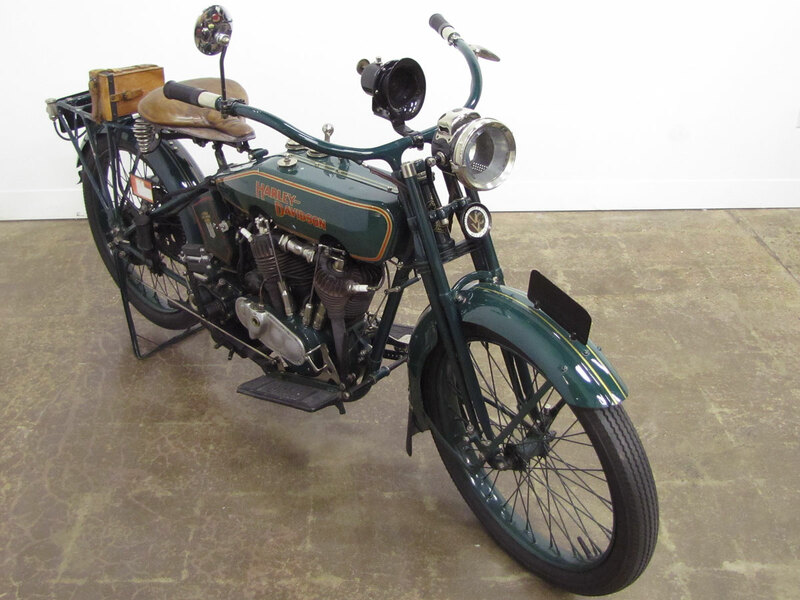 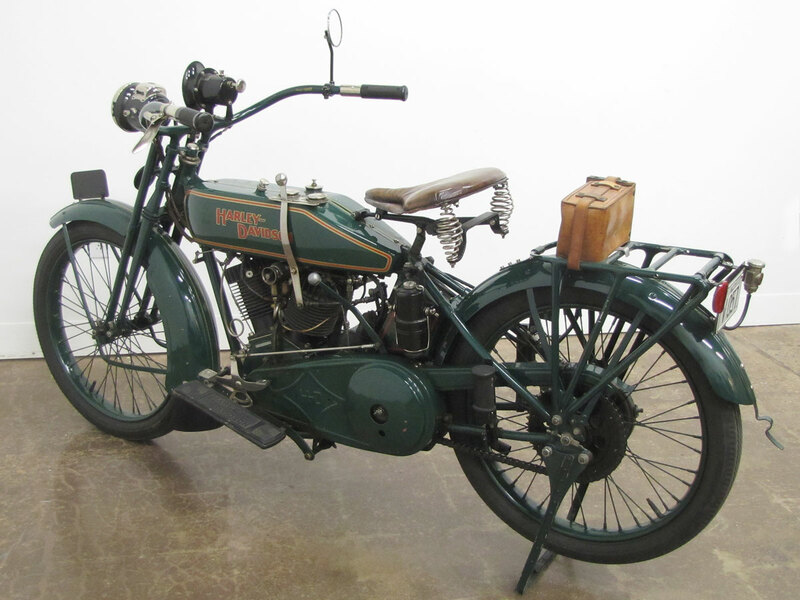 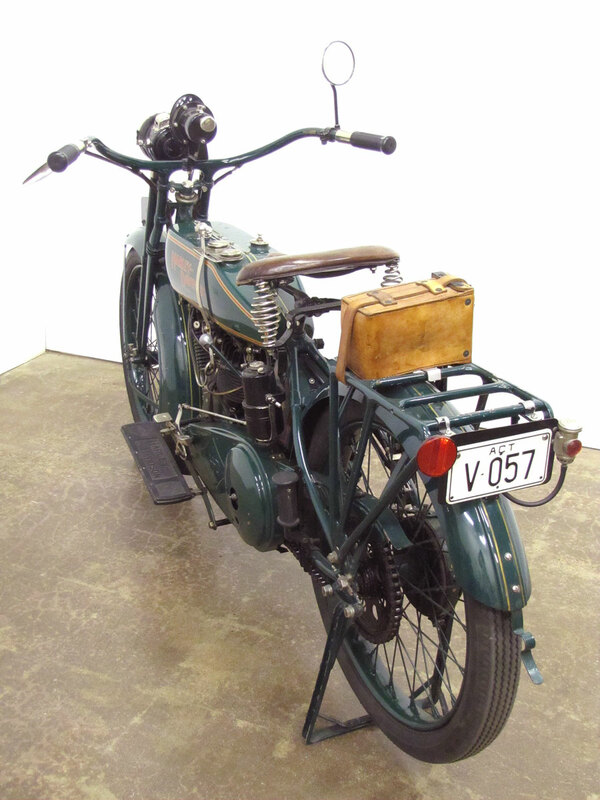 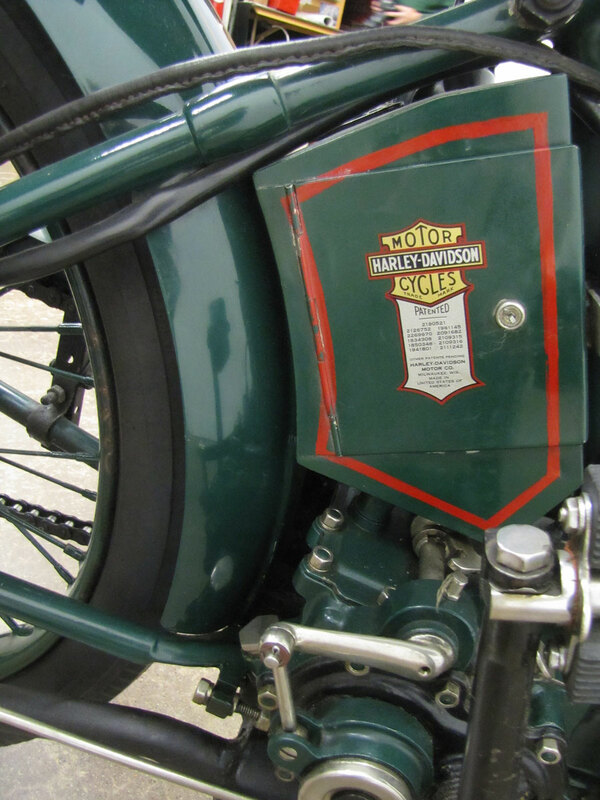 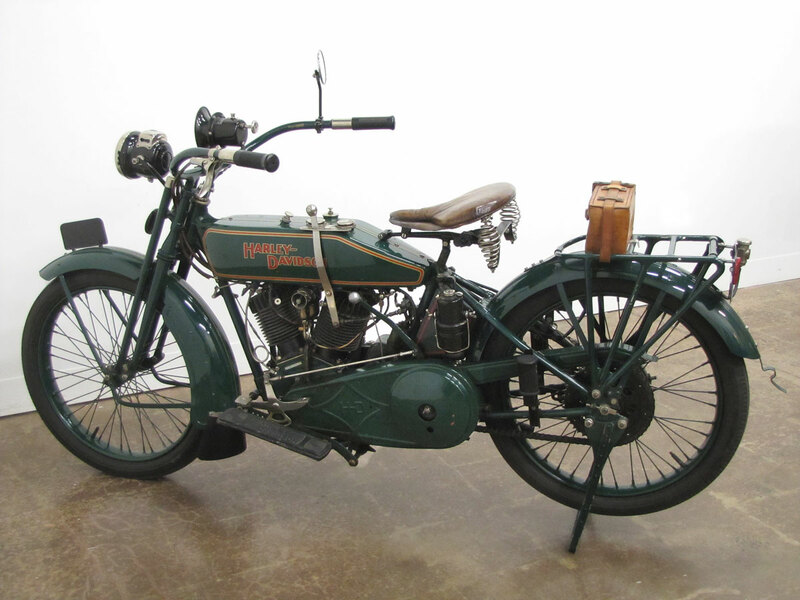 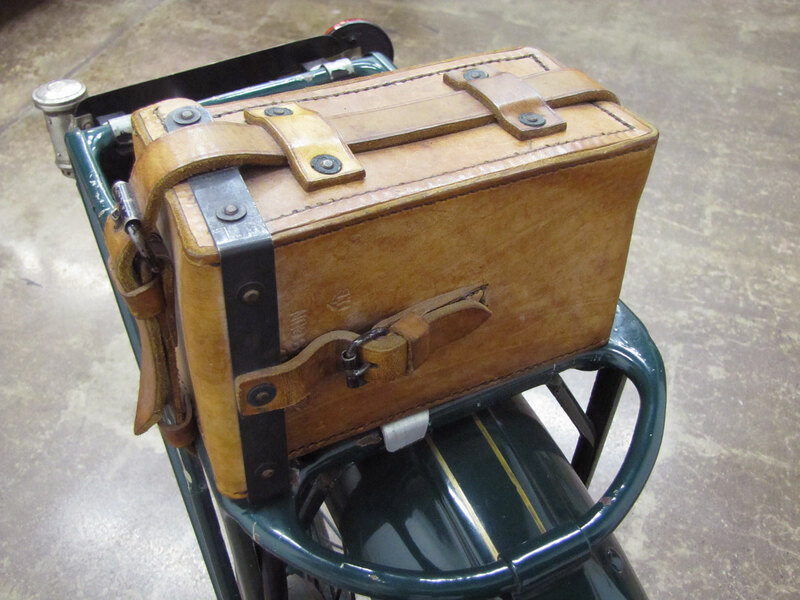 The Model J Harley-Davidson was originally produced for military service around 1915. 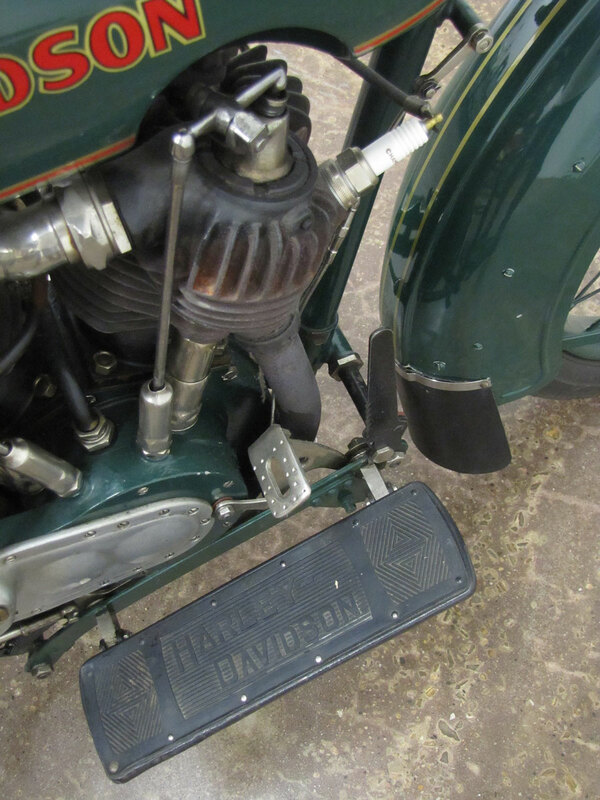 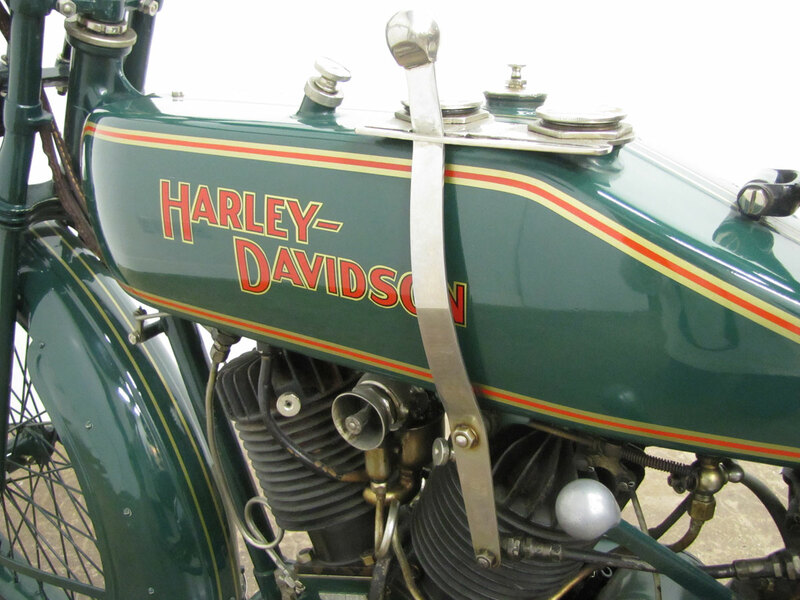 After World War I Harley-Davidson converted their production to serve typical civilian customers. 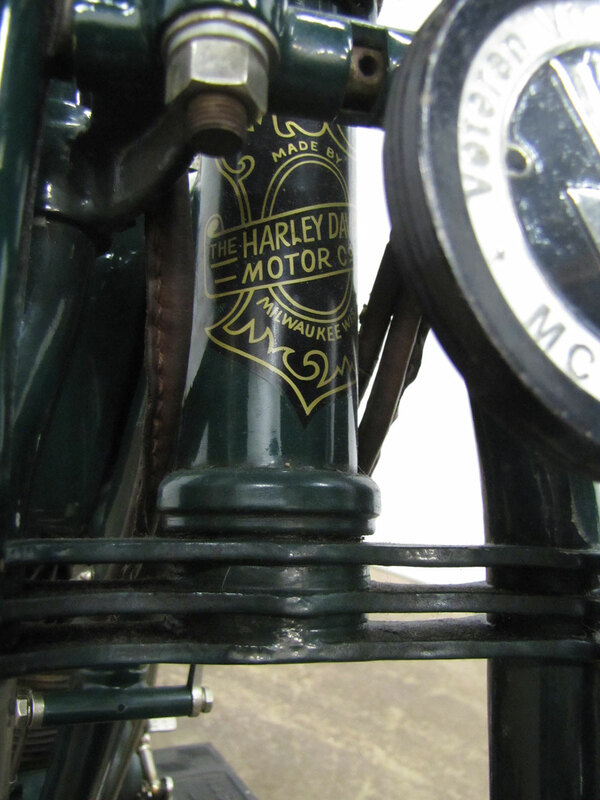 The Model J became Harley’s top of the line model. 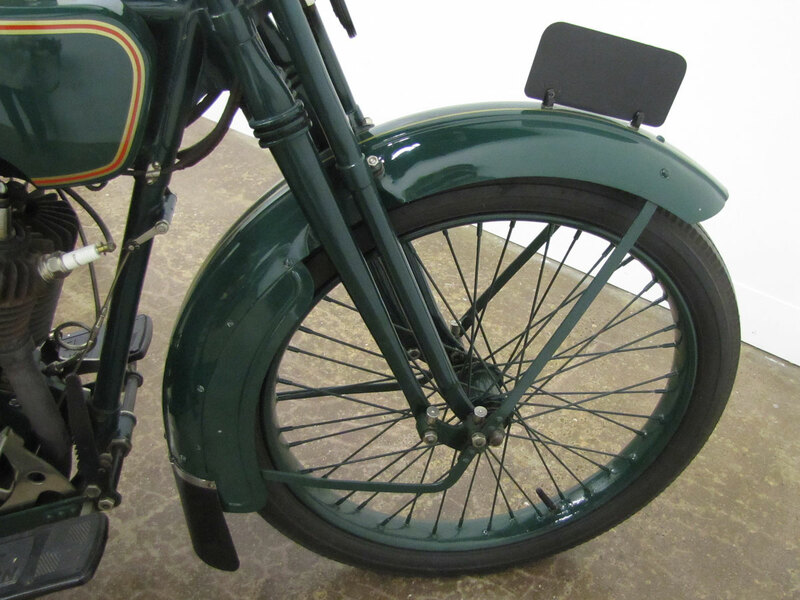 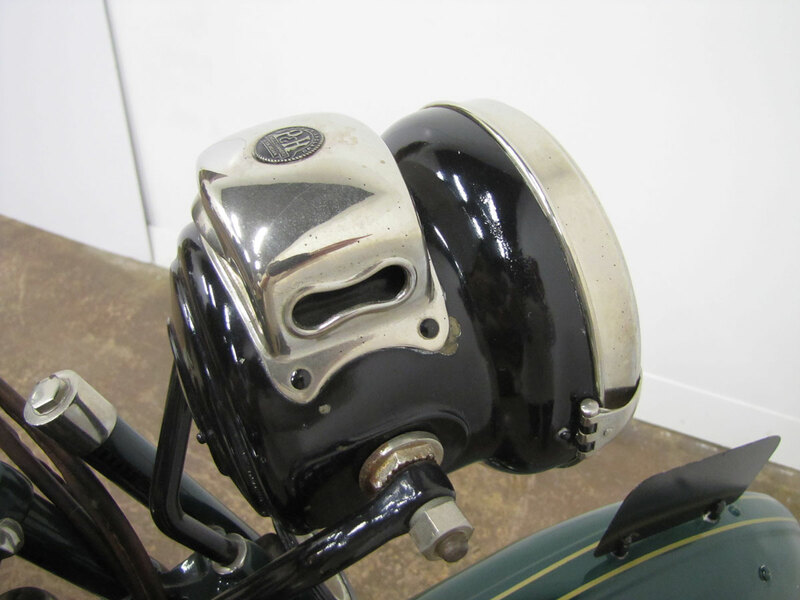 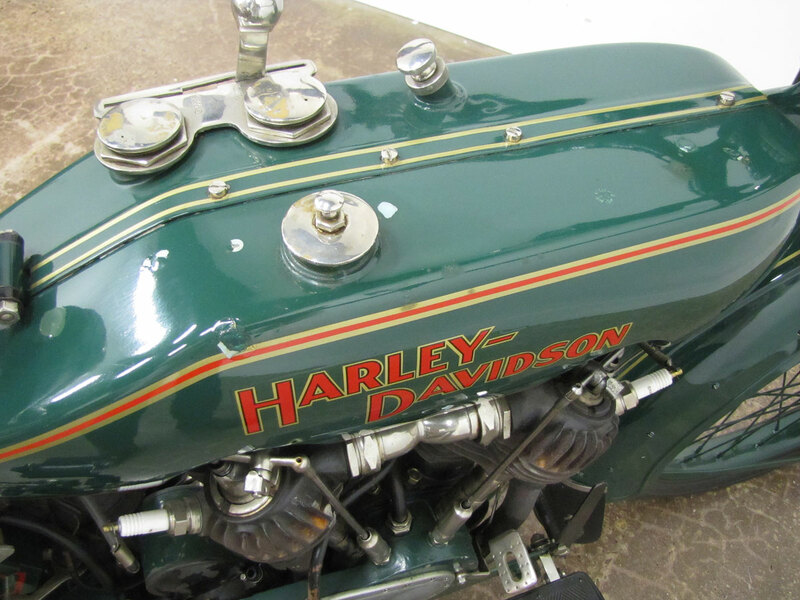 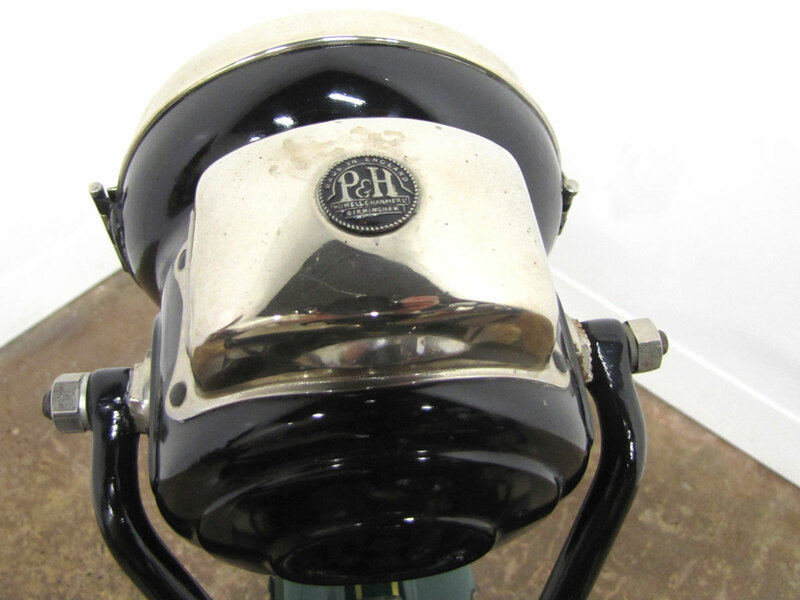 Originally produced in Olive Drab for the military, Harley-Davidson reworked the machine mainly by changing the paint color, offering a shiny olive green color they used until 1932. 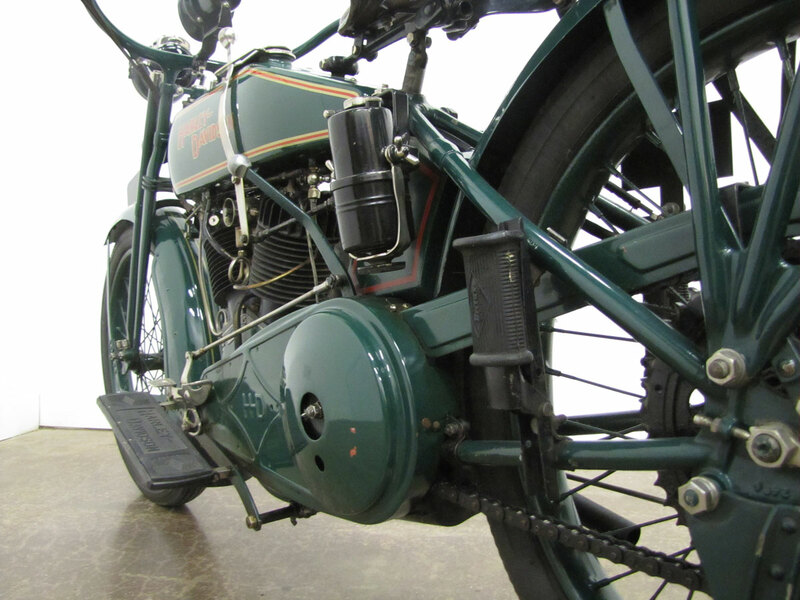 As big engineering steps were made, driven somewhat by war time technology advancements, with battery ignition becoming the norm, and electric lights standard along with a 3-speed transmission, the Model J came into being. 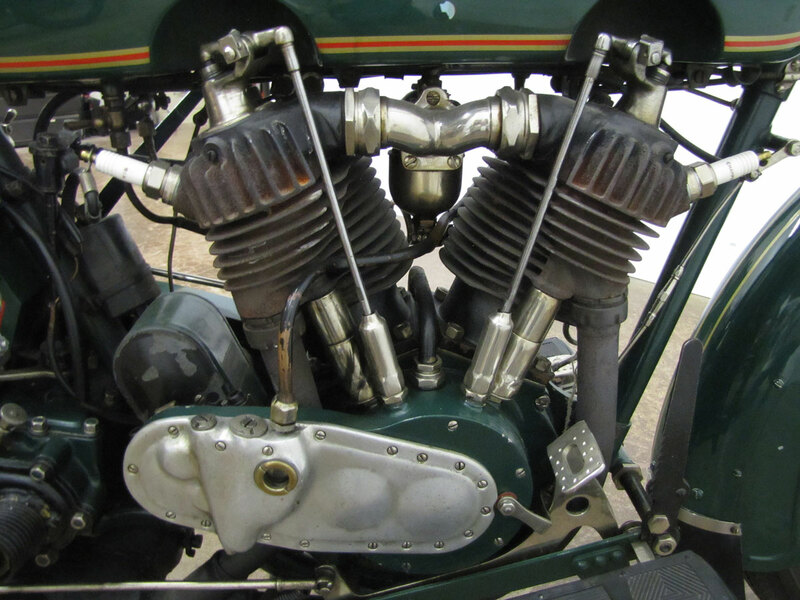 It was offered in various 61 and 74 cubic inch (1921) versions served riders well until the arrival of the “flathead” Model D around 1929. 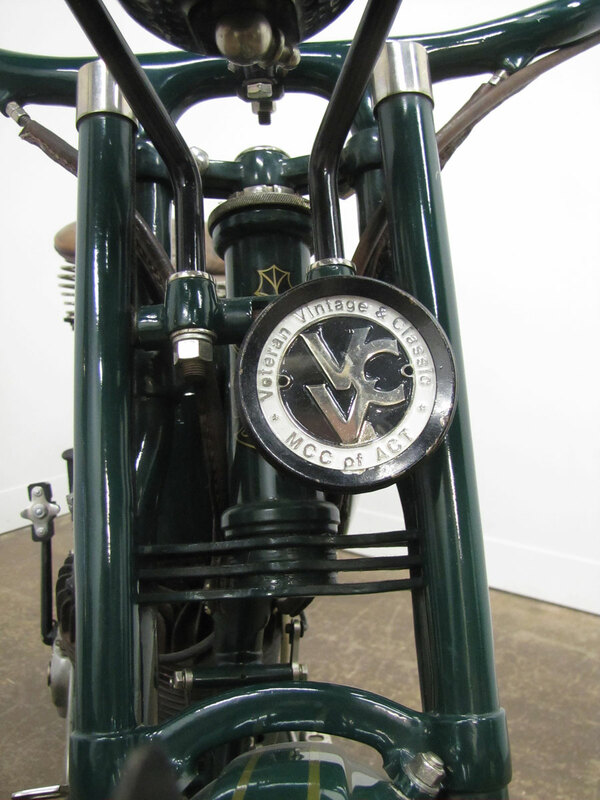 The J was notable in that in about 15 years of manufacture it had been proven on streets, race tracks and even served couriers in World War I. 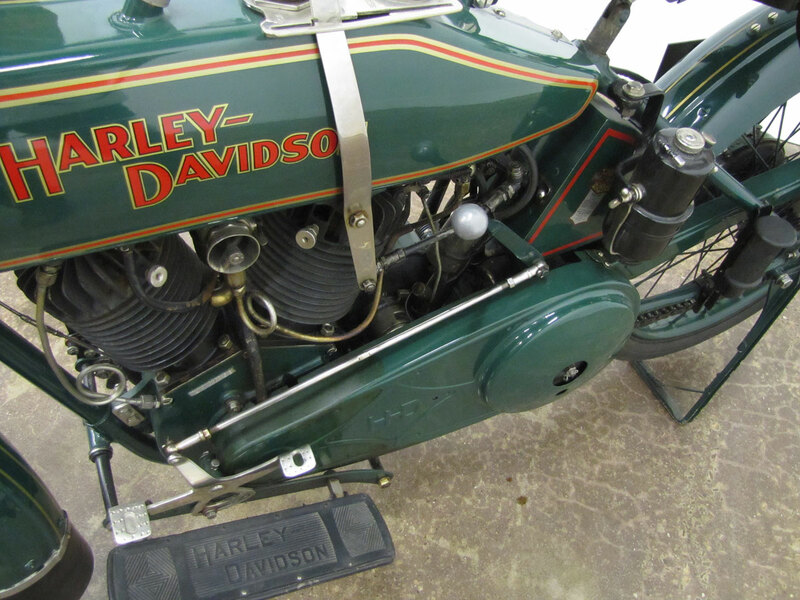 But response to military needs had caused extreme ups and downs in production: Harley-Davidson production is noted at a record 27,000 machines in 1920, but with military surplus available it dropped to 11,460 for 1921! 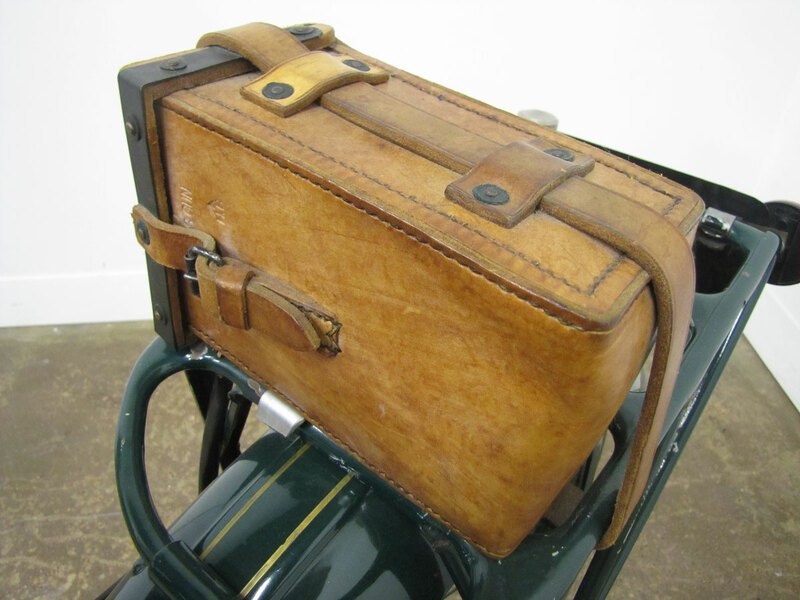 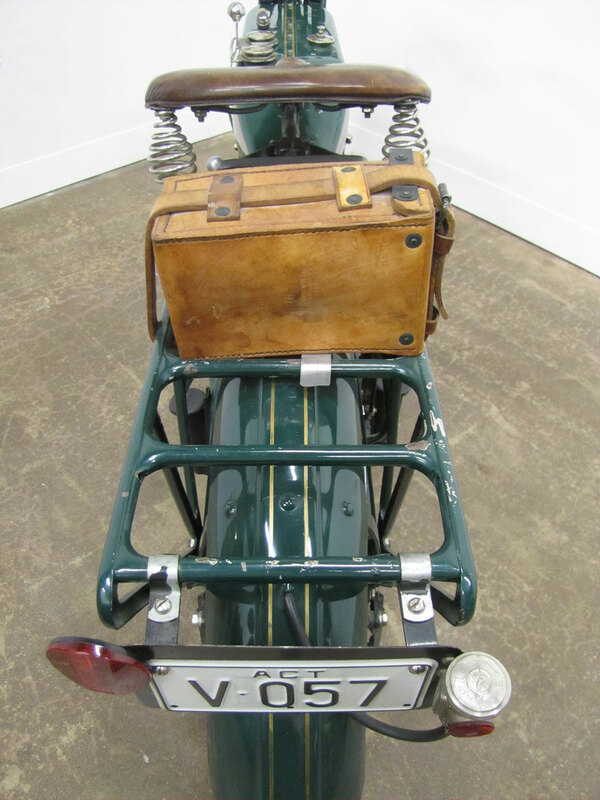 With annual engineering improvements the J was an even better bet than its predecessors for sidecar use. 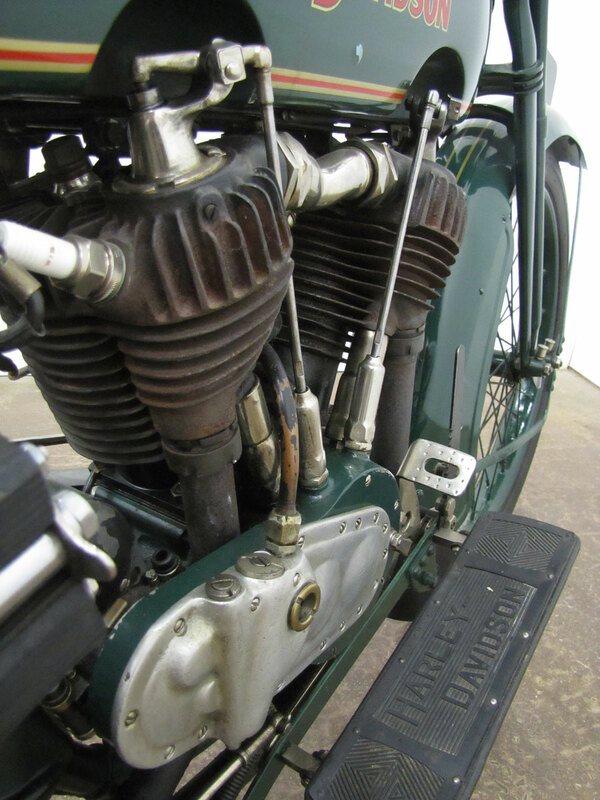 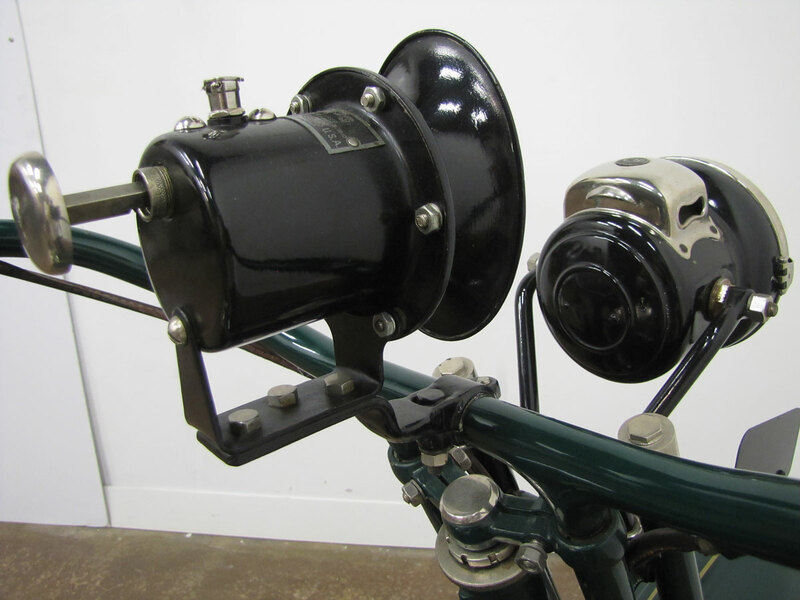 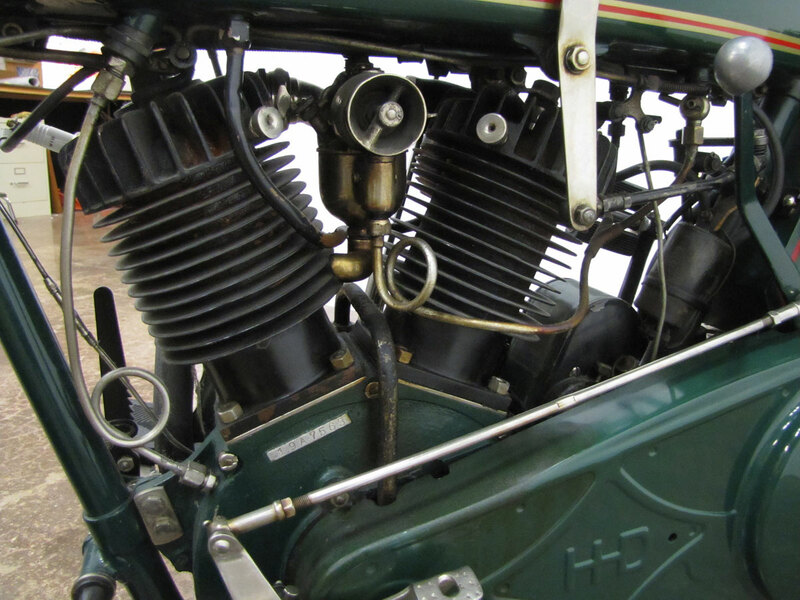 The frame and fork were stronger and more pulling power was available from the J engine which was eventually up to 18 horsepower, up over 50% from its early versions. 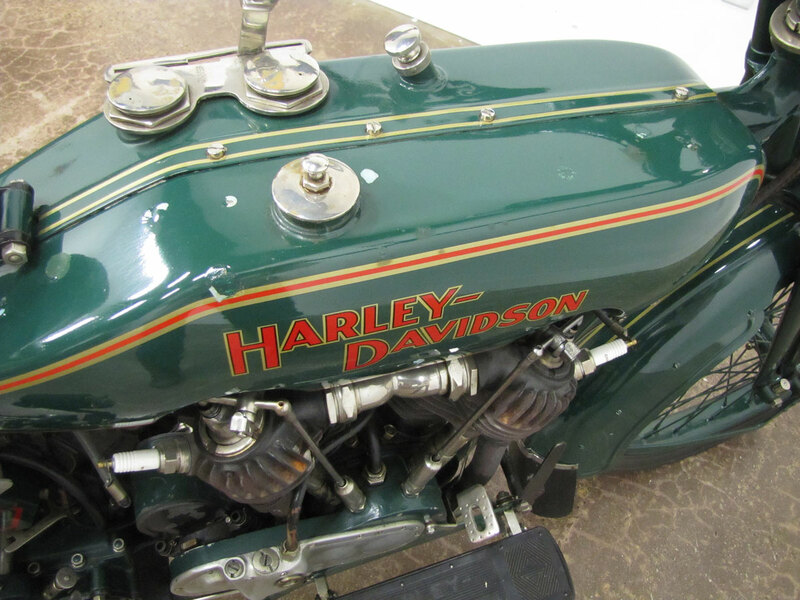 This machine is one of several Model J’s and Model JD’s in the Museum including the machine on which John Parham sponsored Matt Olsen on for the 2012 Cannonball Endurance Run. 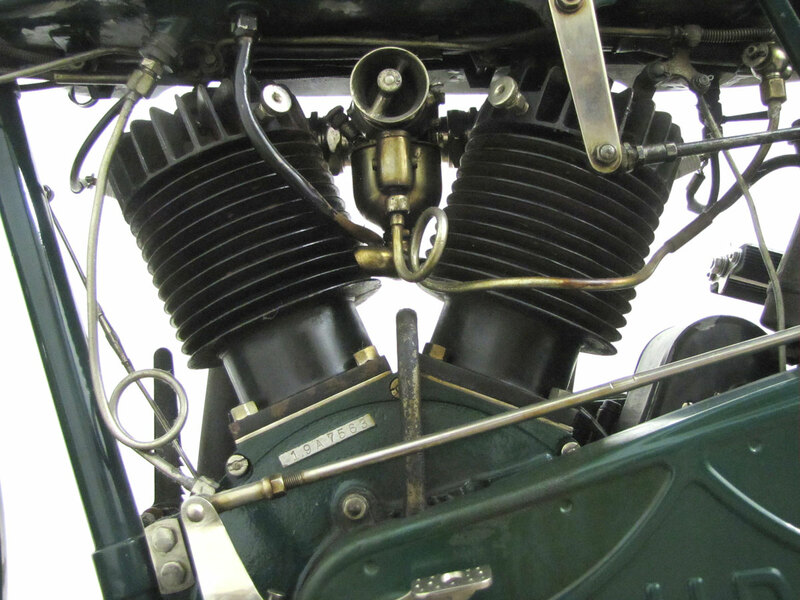 And several J engines are on the “Motor Wall” for you to study. 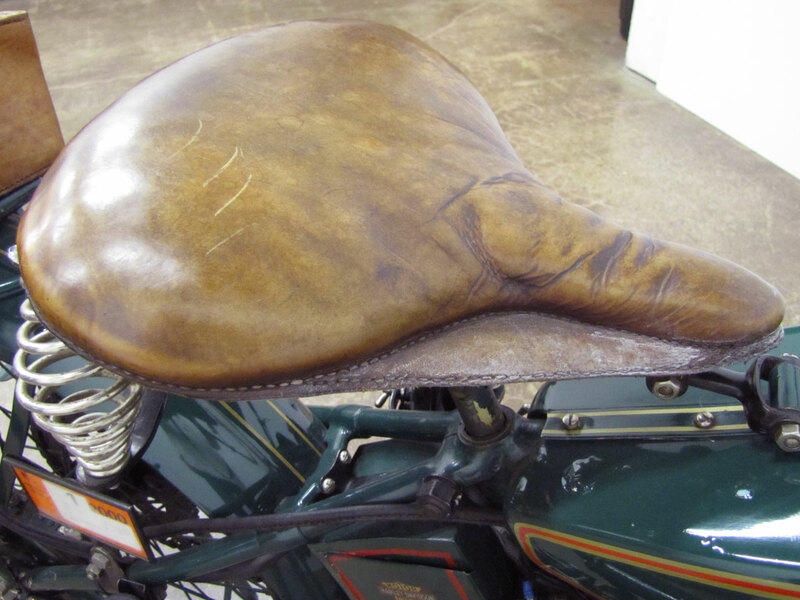 “On it’s side for a long time ” WOW ?????? 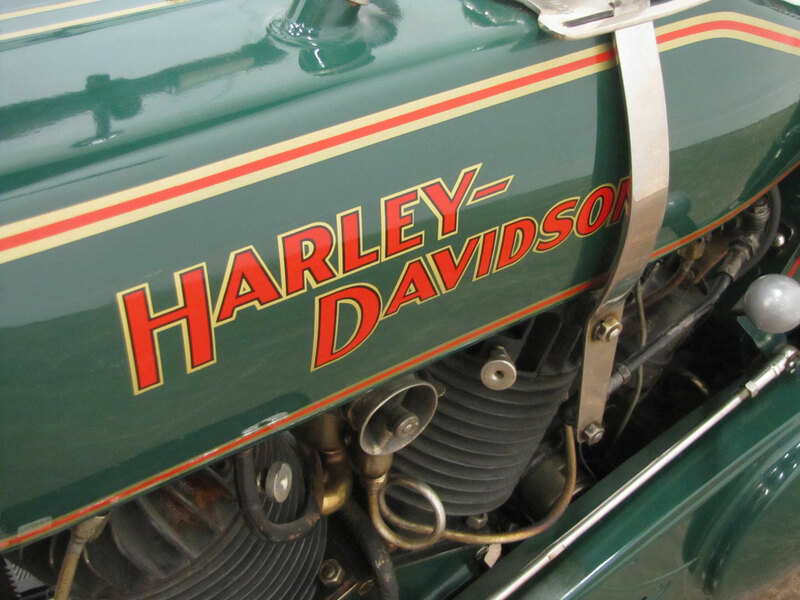 I guess not not everyone has the same level of passion for these old machines ? 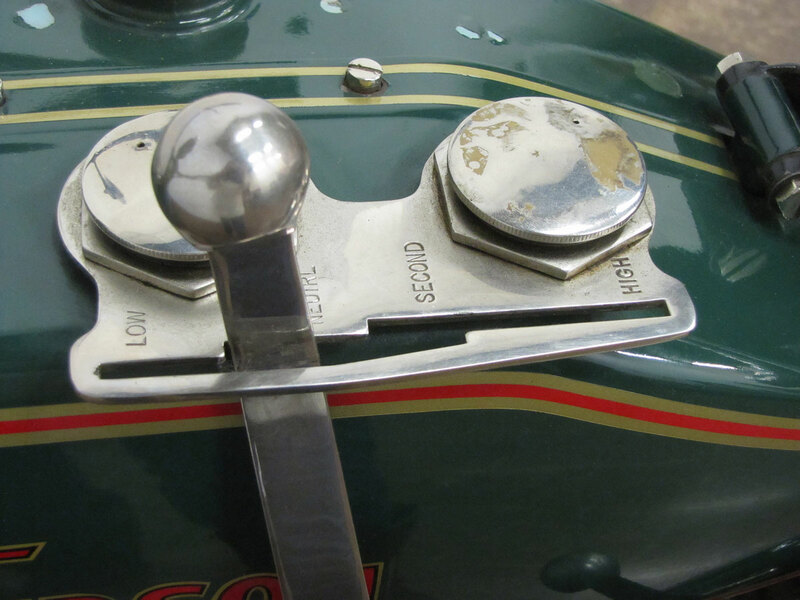 I’m so glad the neighbor saved it for us to enjoy. 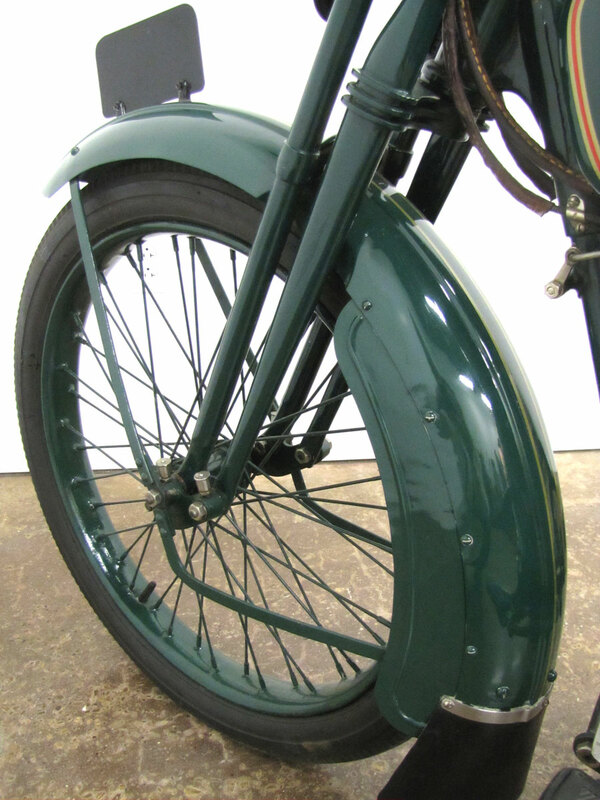 Correction: In my haste, I made a mistake in writing up the Model J specifications. 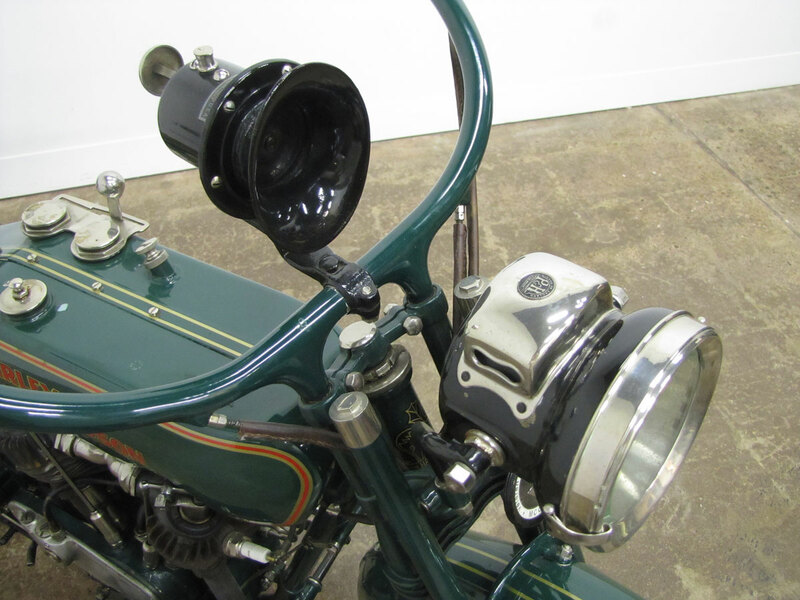 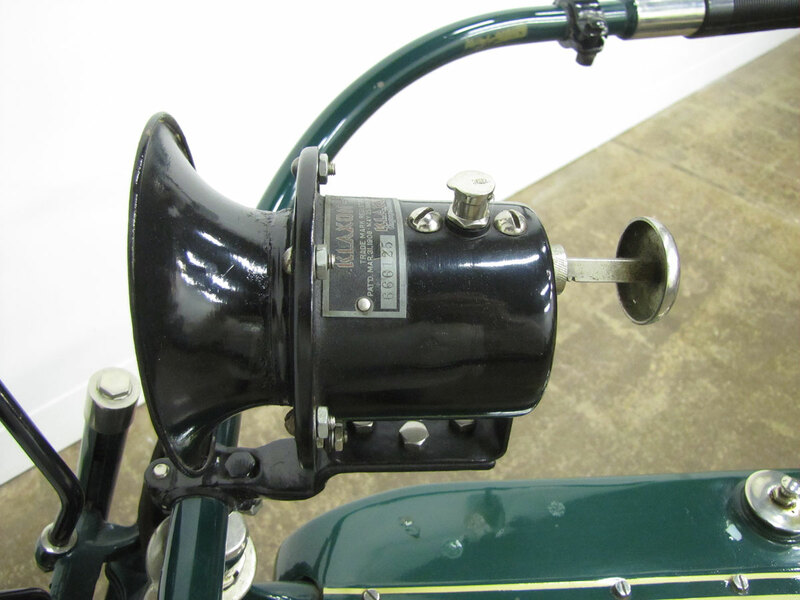 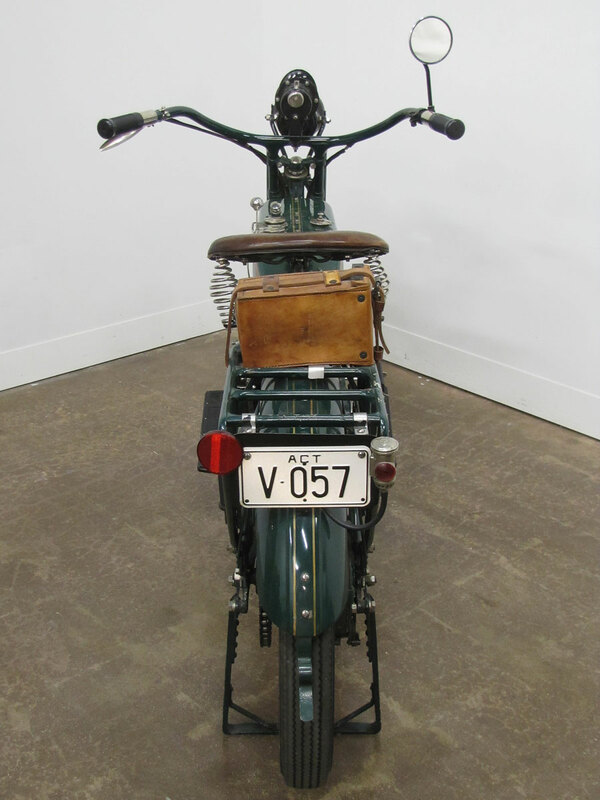 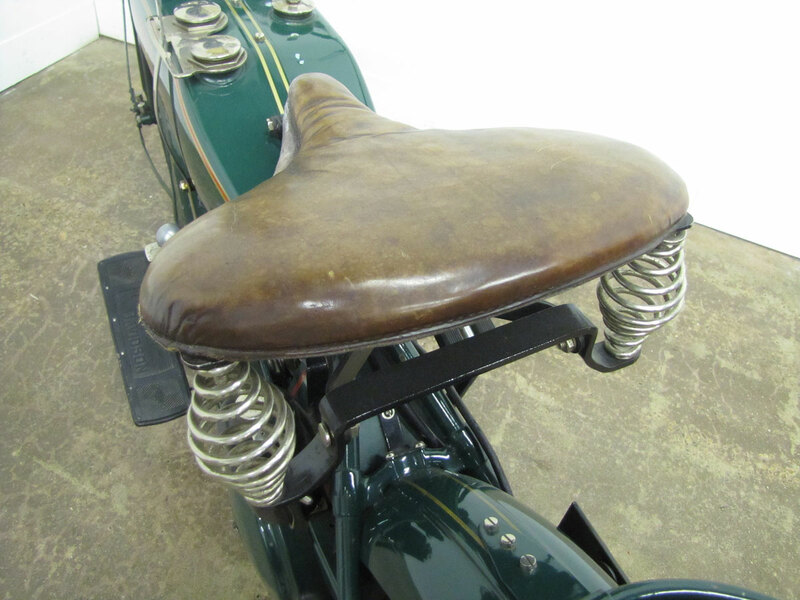 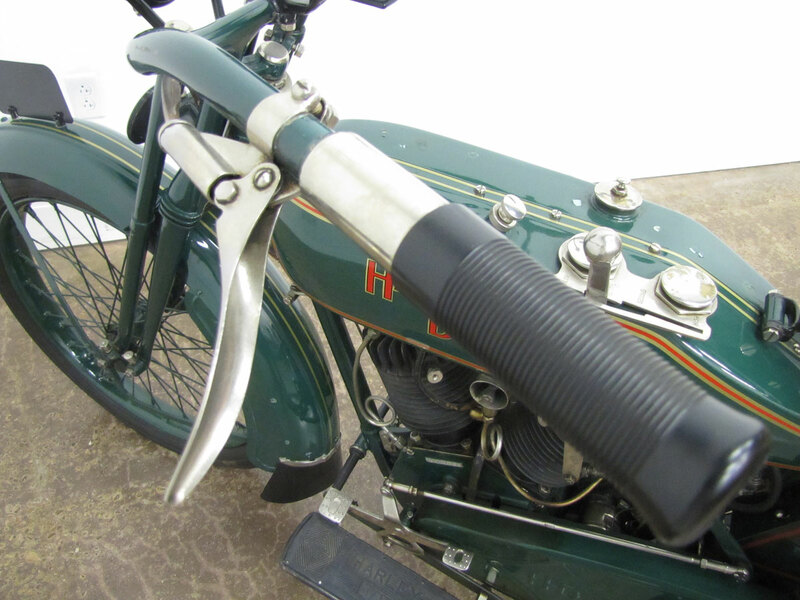 The clutch on this machine is left foot operated, a typical rocker style used until the left lever on the handlebar became the clutch lever. 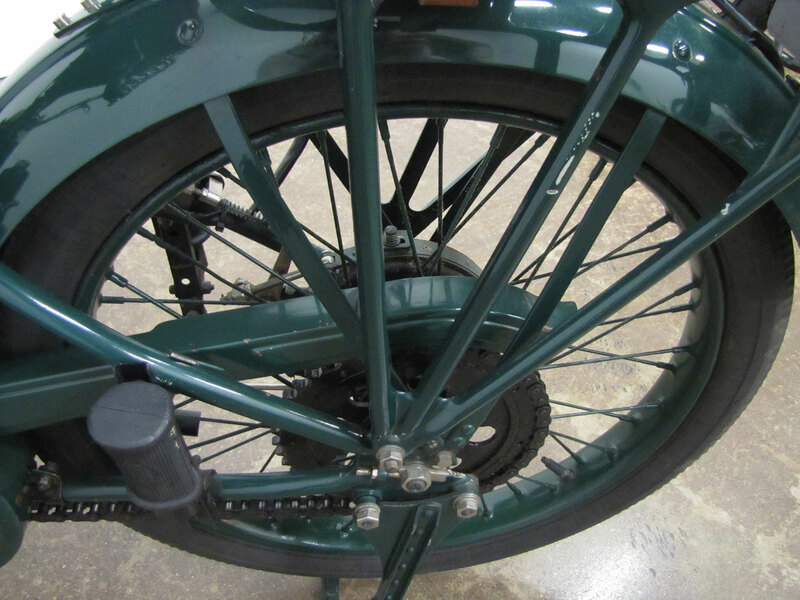 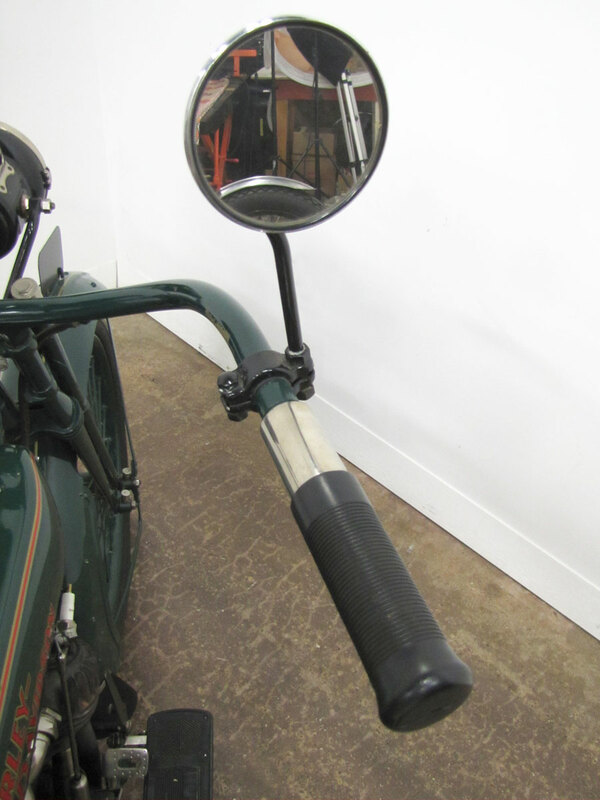 On this bike, the left handlebar lever operates the rear brake, as does the right foot pedal. 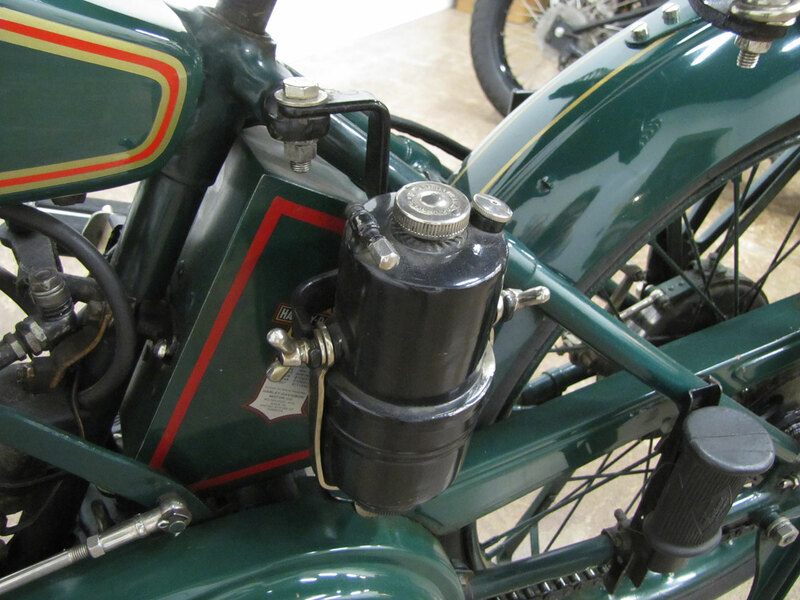 Ignition/spark timing is on left grip, and gear change is with the left hand with the lever beside the tank, while the right hand operates the throttle twist-grip only. 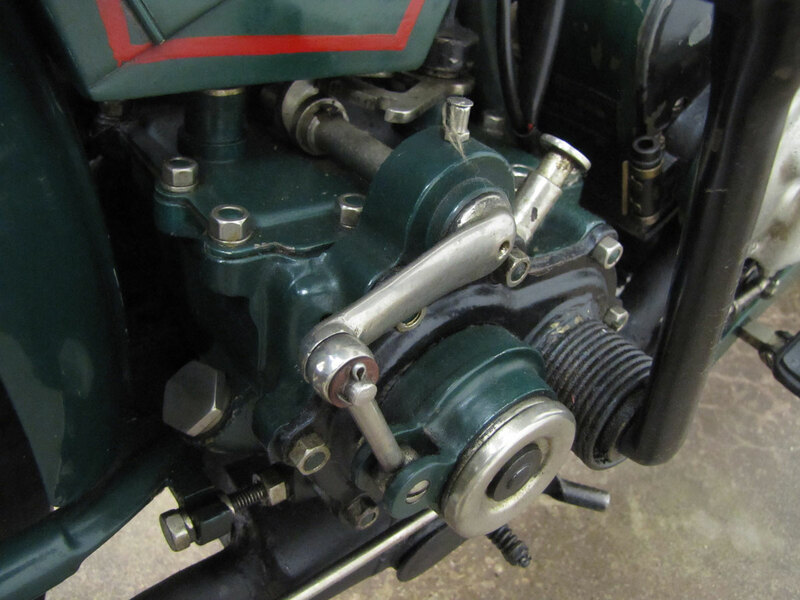 An astute reader brought the correct clutch operation to my attention!